The 2018 World Cup has reached its first knockout round, and the bracketing has pitted two of the most prestigious teams against one another. 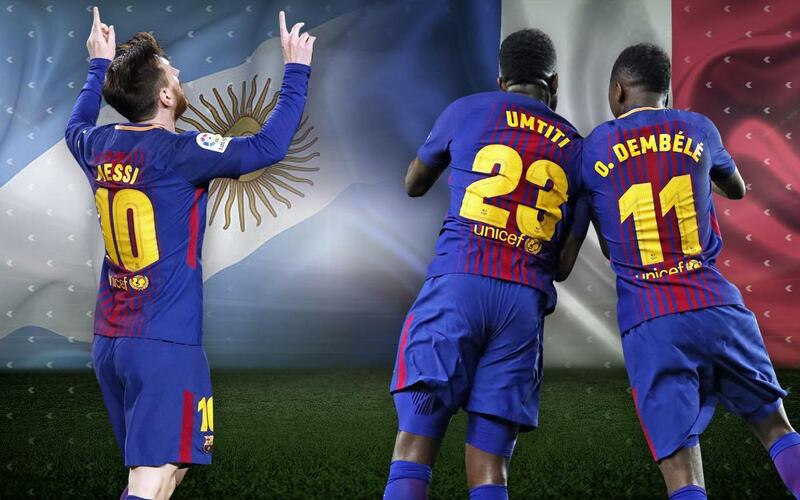 France take on Argentina in a tie that has added interest for Barça fans: Leo Messi will be up against club teammates Samuel Umtiti and Ousmane Dembélé in the only clash involving Blaugranes on both sides. The game kicks off on Saturday at 4pm CET, and will mark the first time that Messi plays against his French teammates. Les Bleus are still unbeaten in the competition, whilst Argentina needed a last gasp goal to beat Nigeria and progress from the Group Stage. There are only a small amount of precendents for the game. The first meeting between France and Argentina was in the very first World Cup, in 1930, with the South American team winning 1-0. The second was in the 1978 World Cup, and Argentina took a 2-1 victory. Saturday's game will be the second time Barça players play against one another in this year's competition. Previously, Ivan Rakitic's Croatia beat Argentina 0-3 in Group D.